People often have plastic surgery to feel better about their appearance. Most celebrities have facial plastic surgery for age related issues or to enhance their features. Enhancing the breasts is equally as important due to the desire to have a larger breast size. However, Amber Rose recently took a different path with breast surgery. Instead of going up in size, she opted to go down in size by having a breast reduction surgery. Amber previously shared on Instagram that she planned to downsize her H-cup breast size with the help of Dr. Garth Fisher, a cosmetic surgeon in Beverly Hills. Amber stated she had been thinking about a breast reduction since the summer of 2017 since her current size made it impossible for her to wear “spaghetti straps” and easily pose for her Instagram pics. Amber waited until 2018 and shared on Instagram that she was “really excited” about the upcoming procedure while also being scared at the same time. Since her breast reduction surgery on January 17th, Rose has been keeping her fans informed about her recovery through social media. This model is not shy about her procedure or recovery as she posted pictures and short videos of her experience. She wrote “Look how much smaller they are” alongside a picture revealing her bandage-wrapped chest. “I really went down a lot. So, I don’t know if you guys know, but I was like a 36H, I was really, really big, and I think now I might just be a D-cup, which is really small for me.” Amber spent approximately one week at a wellness center for recovery and then was spotted around town sporting her newly altered breasts. While her moderately sized breasts can now support spaghetti straps, there are other benefits of breast reduction surgery. Large breasts are heavier and can put a lot of undue pressure on the back, neck and shoulders. 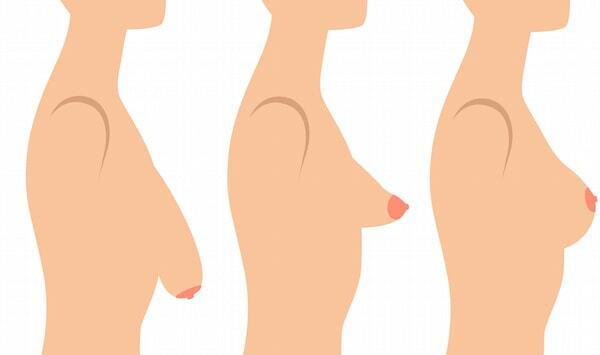 Women with bigger breasts tend to have circulation issues and difficulty breathing. Breast reduction can improve the look of large, saggy breasts and reduce uncomfortable symptoms associated with the extra weight. Will Insurance Cover Breast Implant Removal?